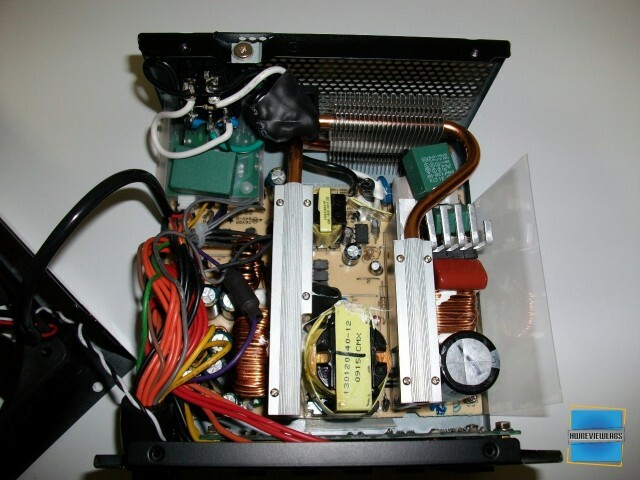 NesteQ ASM Xzero 500w seems quite tidy from the inside, we immediately notice the heatpipe cooling system. Transient filtering is very good, with an X-capacitor and 2 C-capacitors.It also has 2 ferrite rings and a very sufficient second stage filtering! 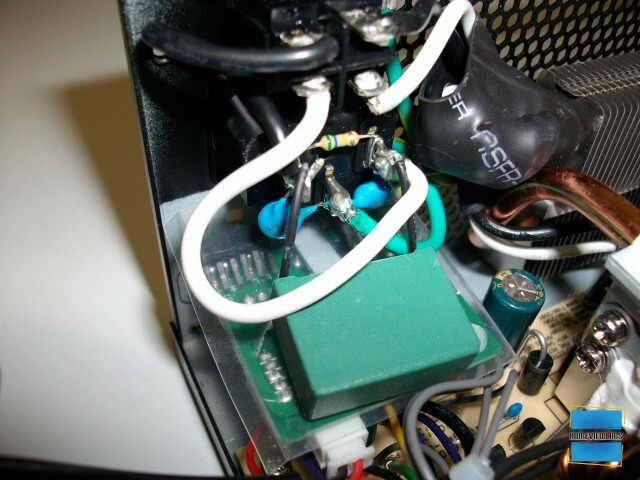 The fuse is in a protective material that will protect other components in case it blows. 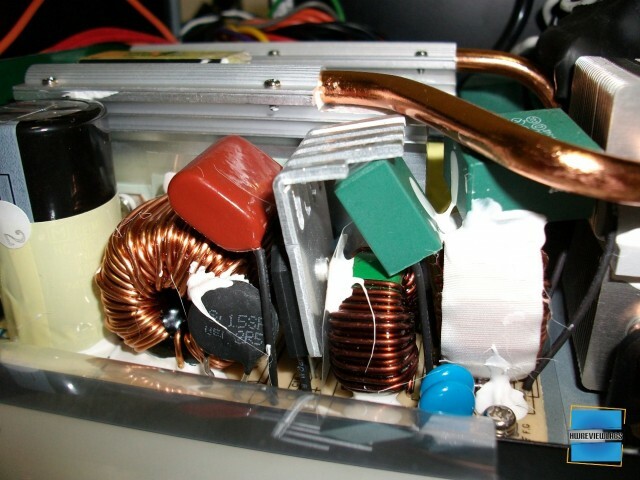 The main capacitor was wrapped with heat tape, I unwrapped it but I wasn't able to find the manufacturer. 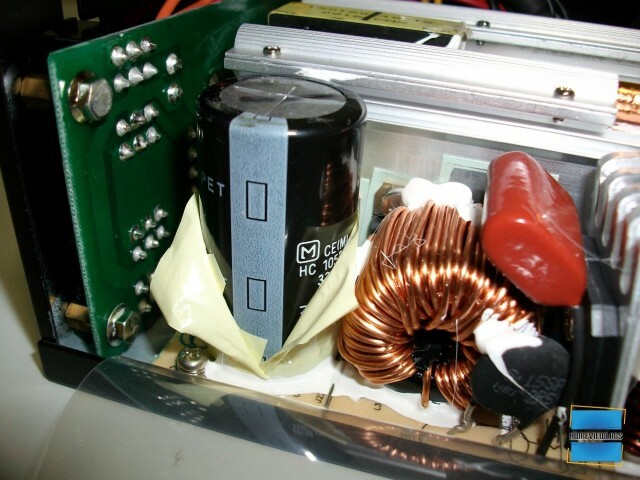 So I contacted NesteQ and the capacitor is made by Nippon Chemicon and is rated at 105 degrees, a high quality capacitor! 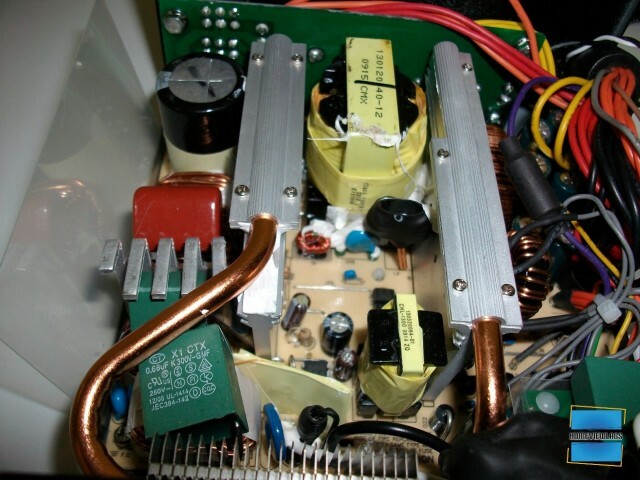 Secondary capacitors are made by Teapo and rated at 105 degrees, high quality and reliable caps. 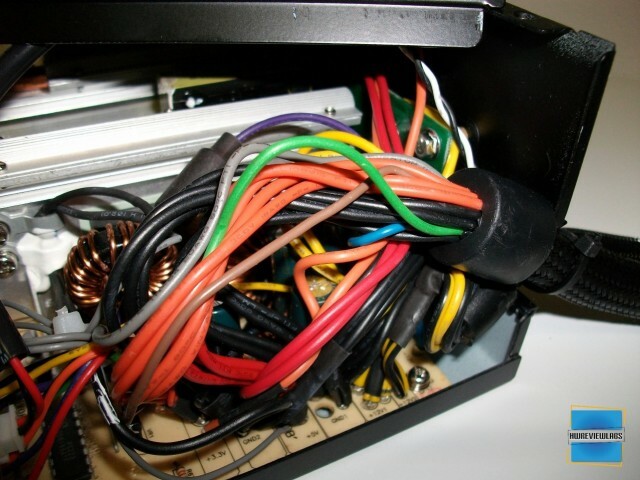 The cables restrict the airflow towards them and they might get pretty hot but NesteQ predicted this and used 105 degrees rated caps instead of 85 that most psus have at this wattage. 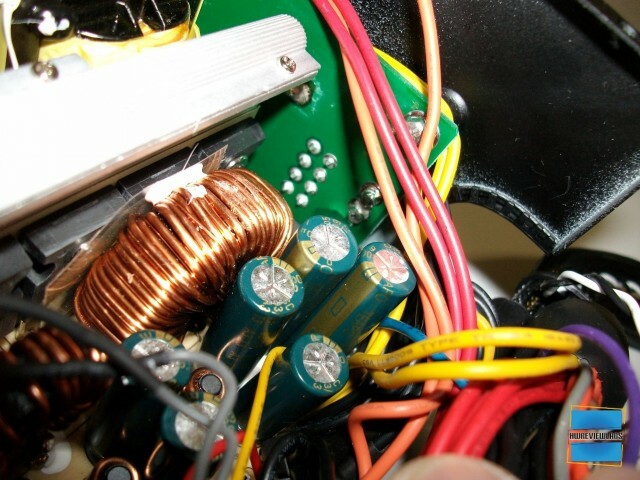 Everything is held securely into place with screws and glue to avoid any vibrations. 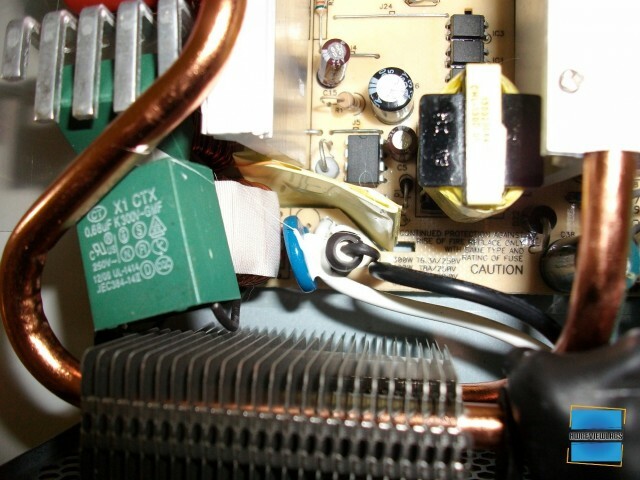 The heatpipes start from the mosfets and go to the fins. 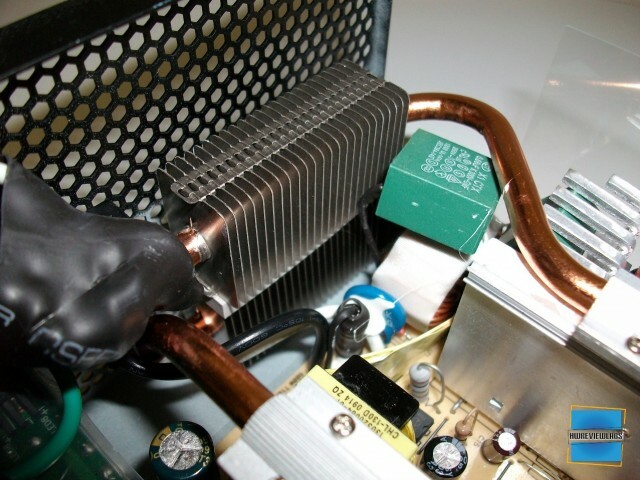 We can notice that thermal paste is used to achieve better thermal conductivity. 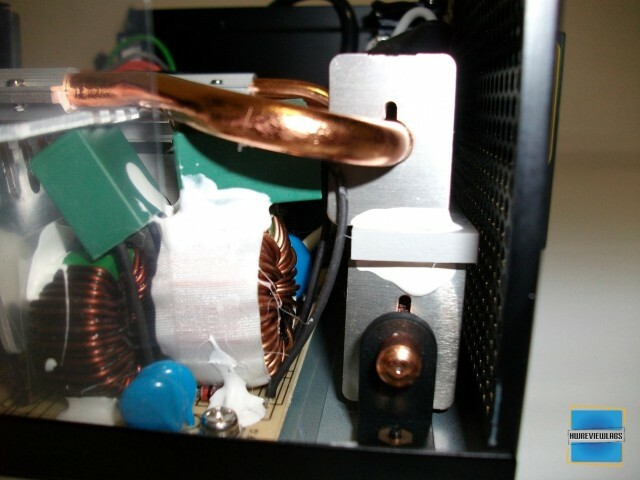 Internal build quality is good, but some things are simply glued wherever they would fit like this X-capacitor,I think a better topology would improve the reliability of the psu.But the heatpipe cooling system restricts things a lot so we cannot expect perfect topology in a so restricted space. 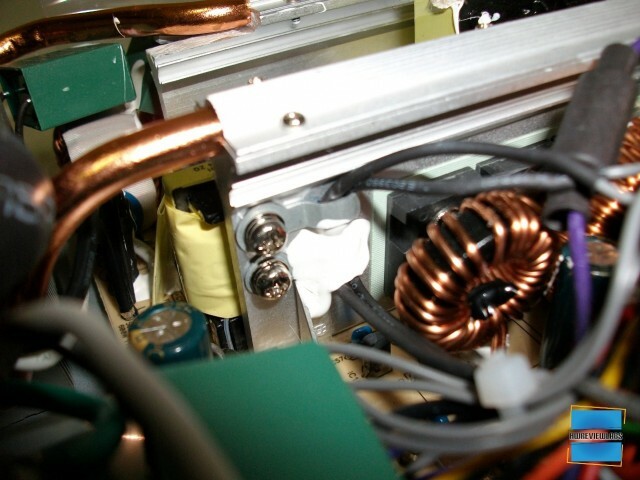 Here we can see the thermal sensors attached to the heatsink. 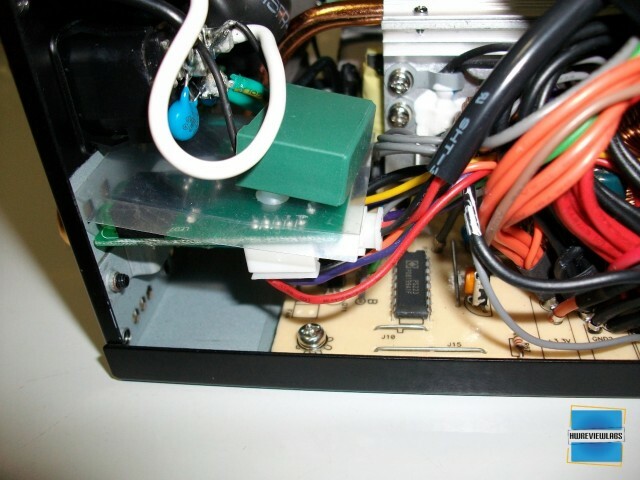 In this PCB we can see the fan control system that is used to adjust the fan speed. 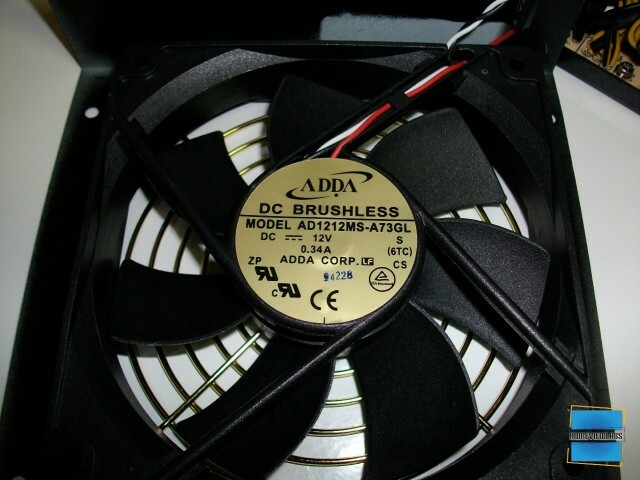 Fan is made by ADDA which is known for the high quality fans. Let's see how the ASM control panel works!